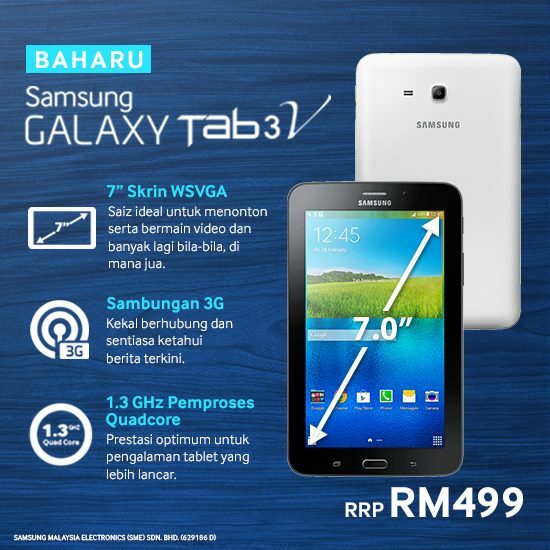 Samsung Malaysia has revealed that its brand new Galaxy Tab 3V Android tablet is now available in Malaysia – albeit rather quietly. Despite that, very little official information are available regarding this particular 7-inch tablet which seems to target low-cost market with its listed RRP of RM 499. This is due to the fact that the tablet has not appeared on Samsung’s official website just yet. That being said, a quick search through a number of popular online marketplaces shows that the Galaxy Tab 3V is built with a 1024 x 600 display as well as a 1.3GHz quad-core processor, 1GB of RAM and 8GB internal storage. Other than that, the Galaxy Tab 3V also carries 2-megapixels sensors for both of its front and back cameras together with a 3,600mAh battery. Not to forget, the tablet also supports HSPA+ connectivity with speeds of up to 21.1Mbps for download and 5.76Mbps for upload. 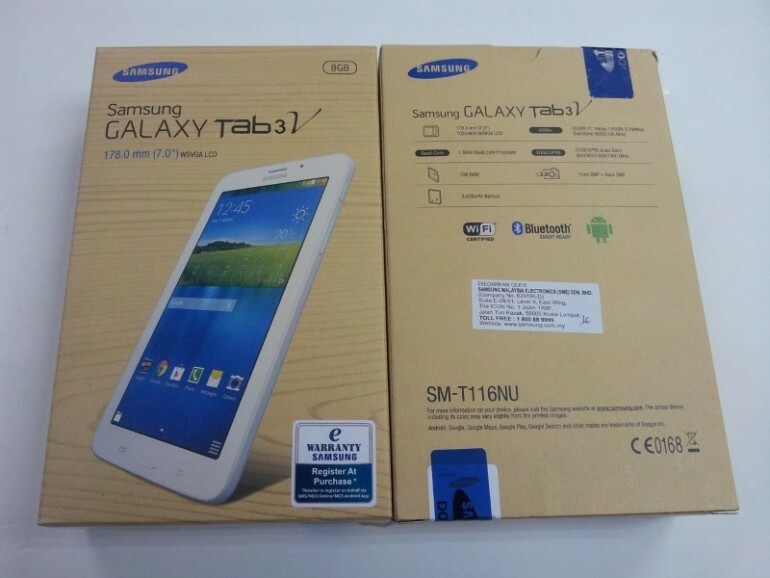 Based on the specs, it is likely that the Galaxy Tab 3V is designed as the replacement for Galaxy Tab 3 Lite that was released last year with the help of its more powerful processor and additional front camera. However, both devices carry the same amount of RAM, internal storage and battery capacity. To learn more about the new Samsung Galaxy Tab 3V, keep a look out for it at your favourite Samsung retailers.